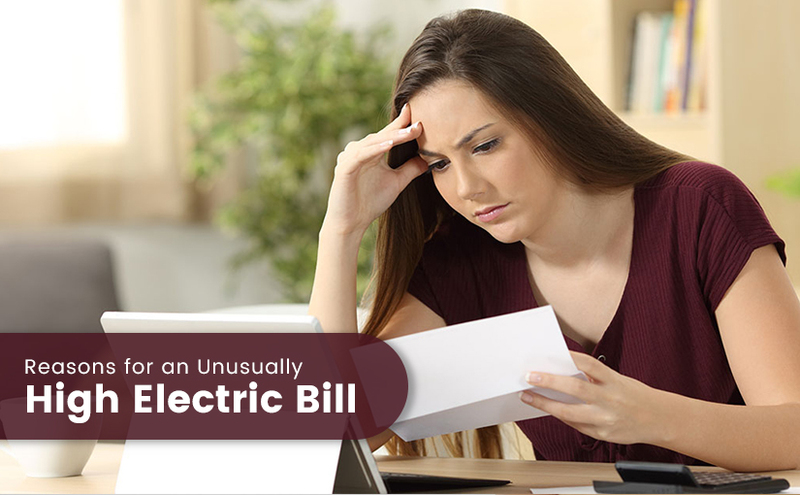 As an electric bill is the most significant and inevitable part of your monthly budget, an increase in that bill may negatively affect your financial stability. Although there are many reasons for a hike in an energy bill, figuring out the real reason is essential in knowing how much your energy usage has gone up and how can you reduce your energy consumption. Appliances such as dishwashers, washing machines, dryers, and refrigerators are the most energy consuming appliances. You need to be very careful when using these appliances otherwise, your energy bill will skyrocket. When you use the washing machine, you should wait until you have accumulated a full load of clothes. Try to use cold water for the wash instead of hot water, and choose a low-heat option for drying. All of these tips are also applicable when using a dishwasher. When it comes to the refrigerator, saving energy is much easier. Set the refrigerator temperature between 37° and 40°F and the freezer between 0° and 50°F. Move your refrigerator away from heat sources, and reduce the frequency of door openings as much as possible. Weather is a significant and challenging factor for getting an unexpected hike in your electric bill. If the weather is hotter or colder than usual, chances are that the energy bill will increase due to the use of air conditioners, dehumidifiers, hot air furnaces and more. During the time of extreme cold and heat, cooling and heating systems need to be kept on continuously. Therefore, you can expect an unusually high energy bill during those periods. Holidays and vacations can also make a huge impact on the energy bill. One of the main reasons for getting a high electric bill is keeping electronic devices in standby mode even when you are not using them. Don’t leave appliances plugged in if you are not using them for a while. Even if these devices are kept idle, they are using energy while waiting for your command. This is known as “vampire power.” You can save a significant amount of energy by unplugging these devices from the wall socket when they are not in use. In order to reduce an energy utility bill, you also need to take care of some other things. An electric heater is by far the largest energy consumer in most homes and, if your hot water tap is leaking, it will drastically increase your energy bill. Also, be sure your meter isn’t running when there is no electricity being used in your home.